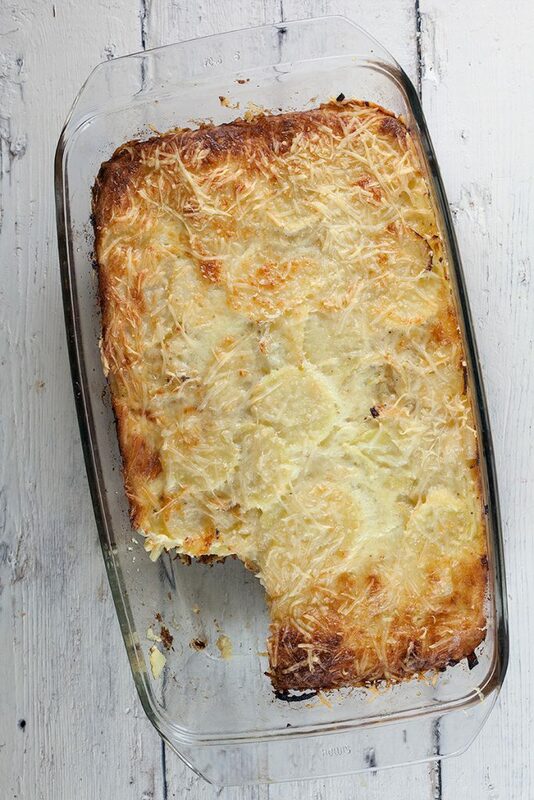 A potato and onion gratin is a great side dish for any kind of meat and fish. 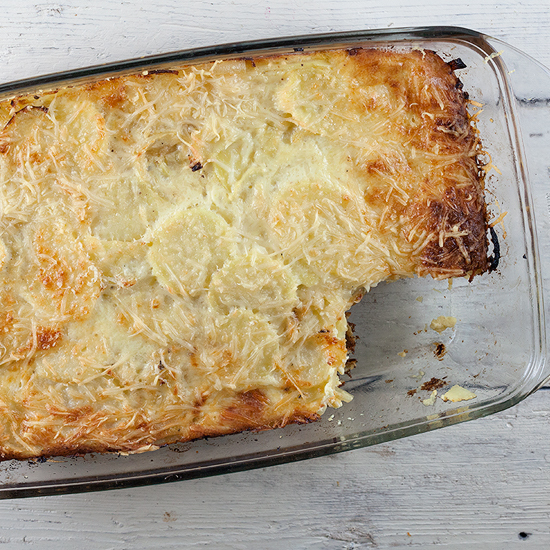 This version is even tastier than a classic potato gratin. Ready within 45 minutes. PEEL the onion and garlic clove, finely chop the garlic and divide the onion into half thin rings. HEAT a knob of butter in a skillet and sauté the onion and garlic for a few minutes. Meanwhile COAT an oven dish with butter. PEEL the potatoes and divide them into thin slices. The easiest way is using a food processor or mandoline. 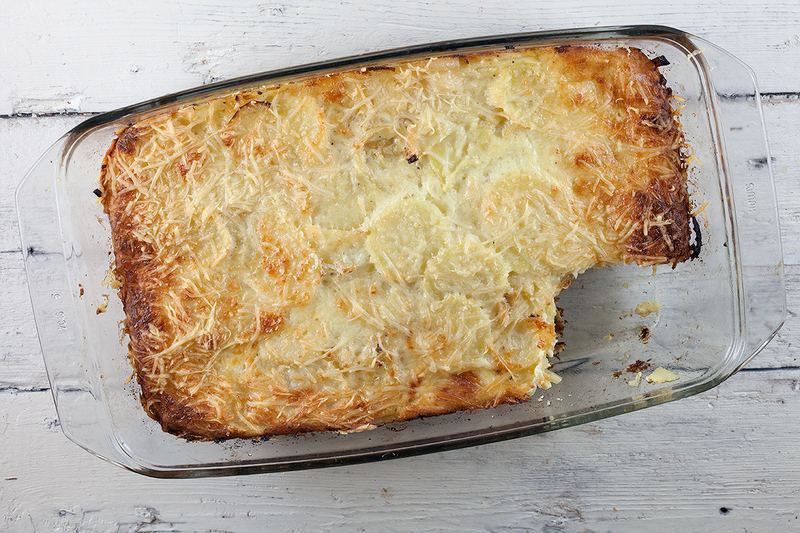 COMBINE the potato slices with the onion and garlic and DIVIDE them evenly over the oven dish. 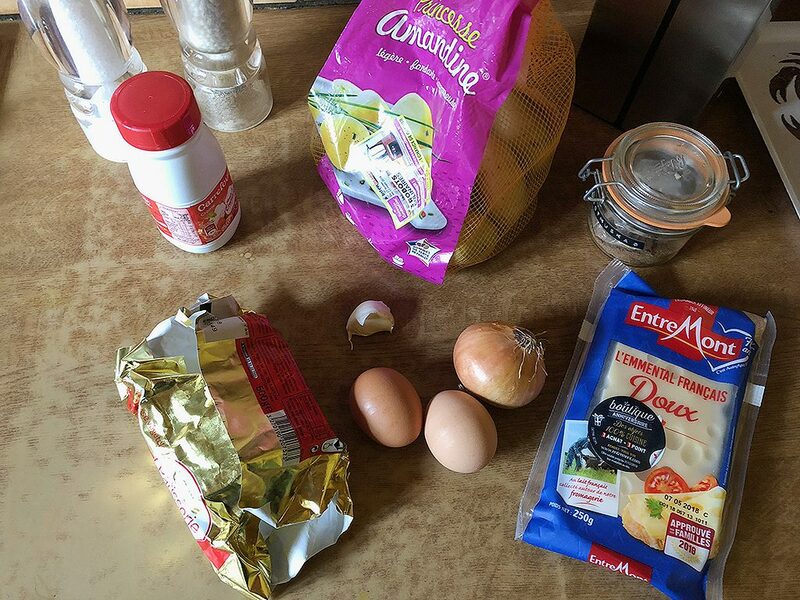 COMBINE the eggs and cream in a bowl and season with nutmeg, pepper and salt. DIVIDE the mixture over the oven dish and make sure the potatoes are covered as much as possible. FINISH with a layer of grated cheese. BAKE the gratin in the oven for about 30 minutes, or until the top is beautiful golden brown and you’ll have a crusty cheese crust on top. SERVE with some meat or fish, warm veggies or salad. Enjoy!